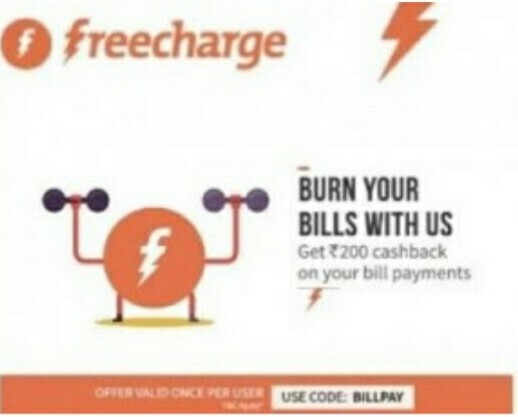 FreeCharge Currently running offers on Electricity, Gas, and Landline Bill Payments where you can get 200 RS cashback On Bill payment of 400 Rs. 1) Valid on successful Gas, Electricity, Landline Bill Payments done till 7th April 2016. 3) BILLPAY promocode has to be applied to avail cashback offer & is linked to your email.